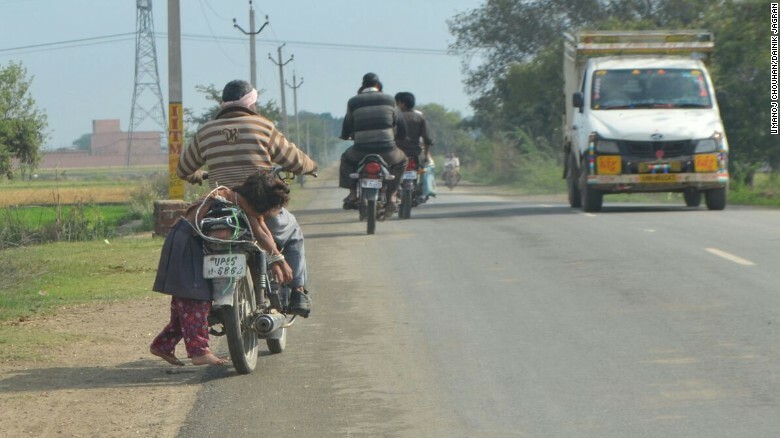 Earlier this week, a father in the city of Mathura was caught strapping his 8-year old daughter to a motorcycle after she refused to attend school to take her assessment. Tied with a multi-strand rope to the back of a bike, onlookers captured images of the trussed girl, her bare feet hanging low, scraping the asphalt. According to local police officials, the girl’s parents offered her several incentives, such as chocolates and toys to entice her, however when the girl was still reluctant, her father decided to take matters in his own hands. After photos started making the rounds on social media, police officials took the man into custody and charged him with “breach of the peace.” He is now out on bail. “Even after he got out, the father showed no remorse. He has five children to feed and he believes the only way they can get out of this poverty trap is through education,” a senior police official handling the case told CNN.